Now that we’ve finally manipulated a few images we’re starting to get somewhere. Today we are going to take some strides in classifying images. It would be nice if we had an objective way to say “that image is really bright”. It shouldn’t come as a surprise that this is actually pretty easy. Histogram is really just a fancy word for counting. In our case, we are counting how many pixels are at each intensity level between black and white. Let’s revisit our friendly orangutan. The chart below the picture is his histogram. The horizontal-axis represents the intensity while the vertical-axis represents the number of pixels with that intensity. 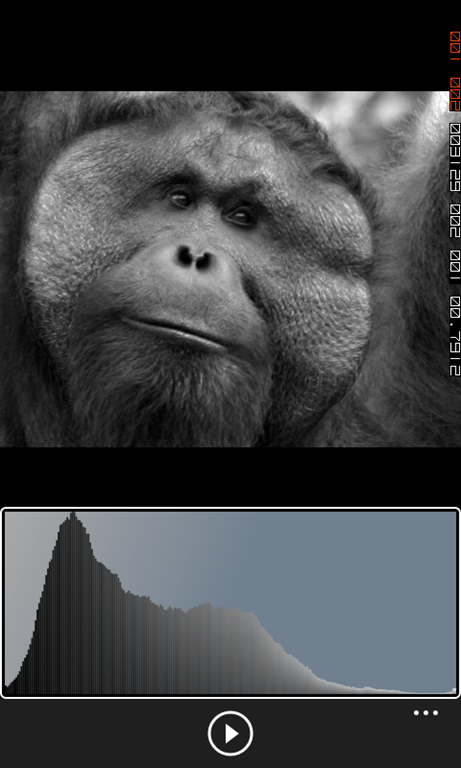 When you are converting an image to grayscale you can trivially create the histogram data with it. The process is as simple as looping through every pixel (which we have to do to convert to grayscale anyway) and adding up the intensities. The histogram offers us an objective method for classifying images. 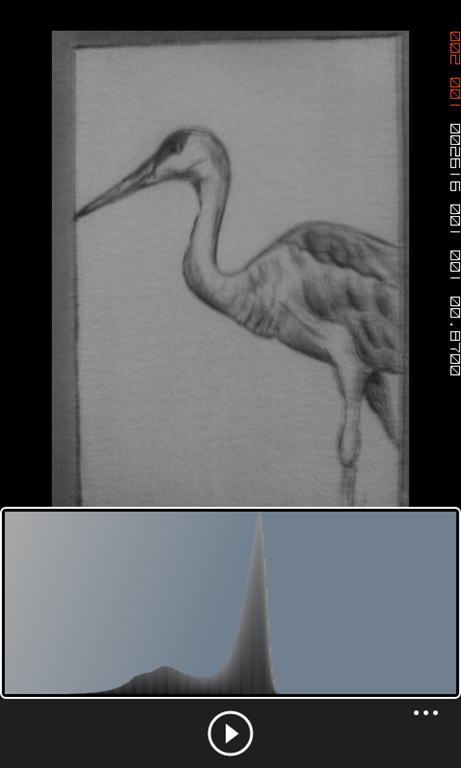 For instance, based on the histogram below we might say the crane is not too dark and not too light. Because it doesn’t use the entire range, however, we might classify this as having low contrast. Trust me, this will come in handy in future lessons. Creating a histogram is really easy, and it gives us some basic statistics. It doesn’t take a wild imagination to come up with some ways to use this information. Over the next few lessons we will do just that.